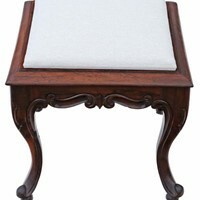 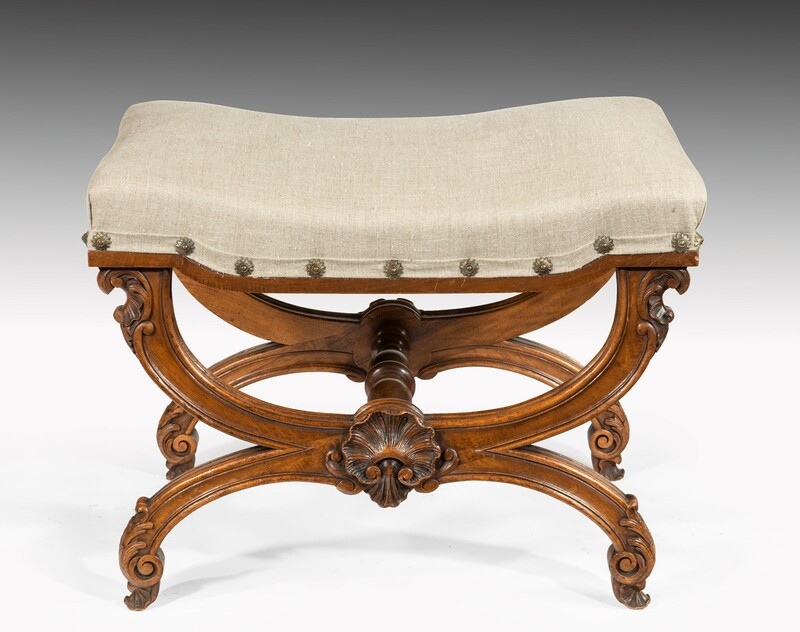 A good quality late 19th Century walnut curule stool / x frame stool covered in linen. 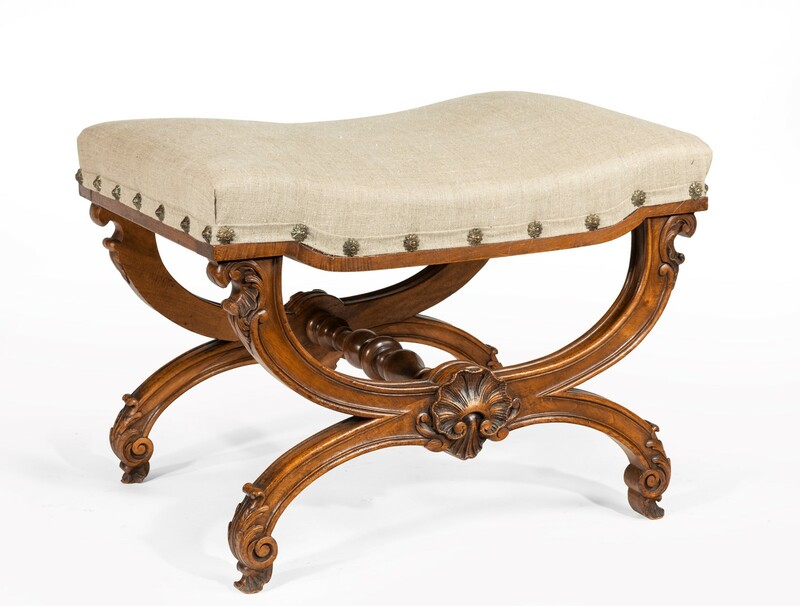 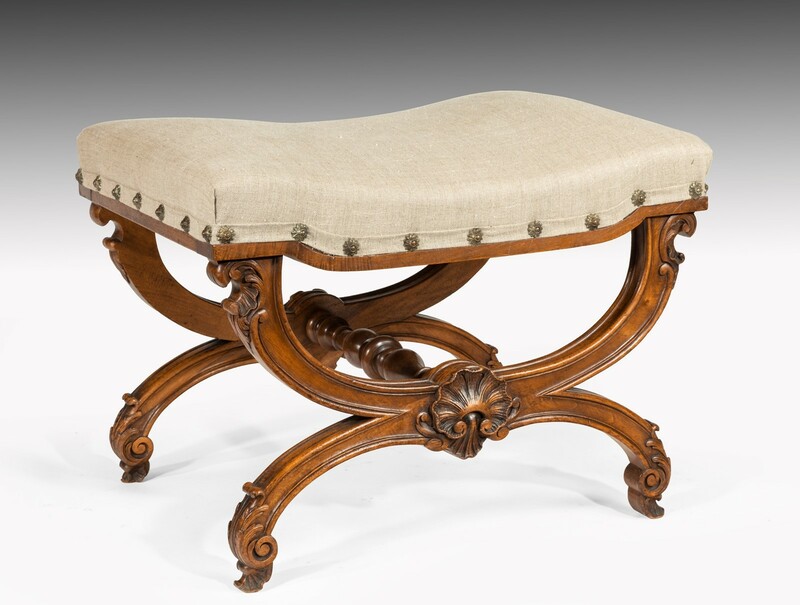 Of excellent form, the shaped saddle seat having been recently recovered in a neutral linen fabric whilst retaining the original brass star shaped studs, sits over a curule shaped crisply carved solid walnut base with central carved shell , ring turned stretcher and acanthus wrapped scrolled feet. 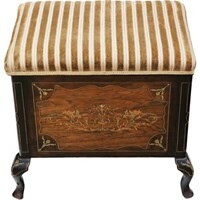 In excellent condition the walnut having a wonderful colour this rare stool will work in most rooms of the home and settings. 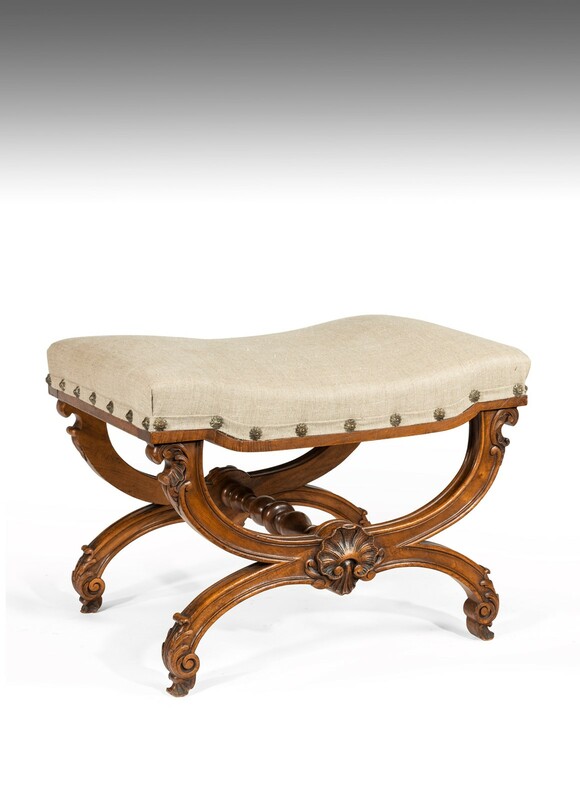 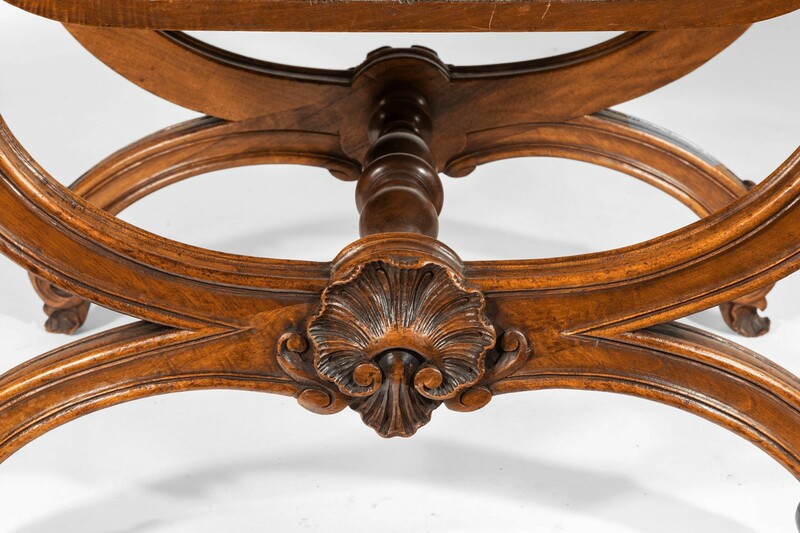 A curule seat is a design of chair noted for its uses in Ancient Rome and Europe through to the 20th century. 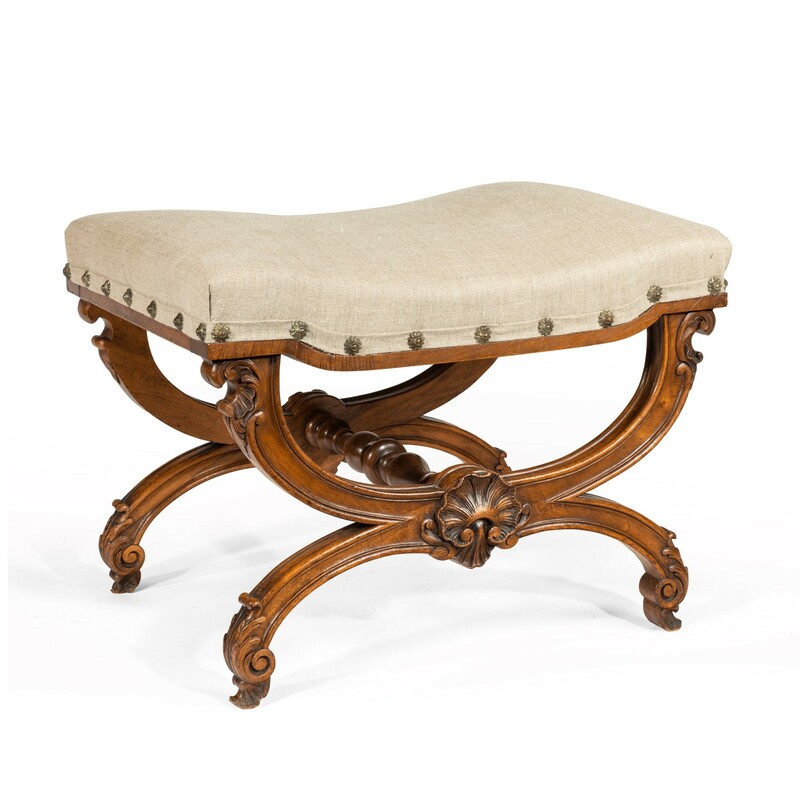 Its status in early Rome as a symbol of political or military power carried over to other civilizations, as it was also utilized in this regard by kings in Europe, Napoleon, and others. 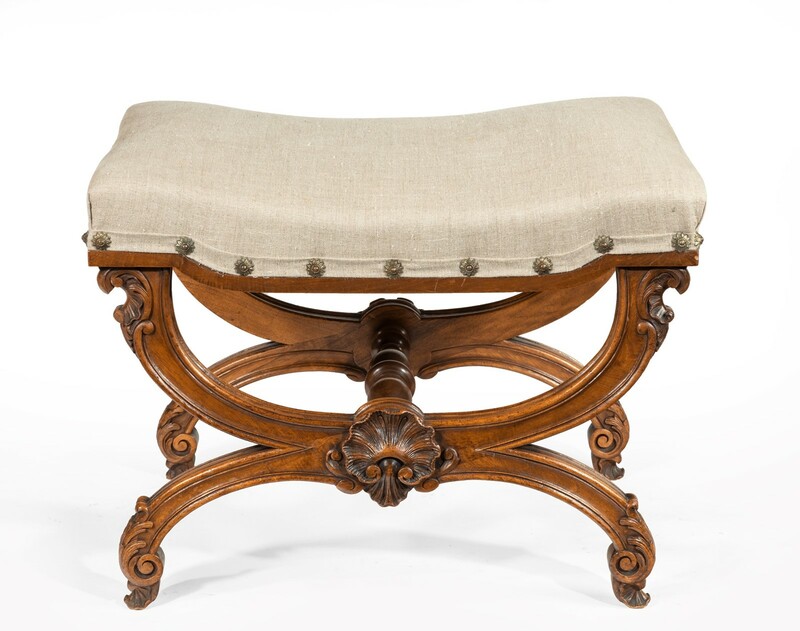 In the Roman Republic and Empire, the curule chair (sella curulis, supposedly from currus, "chariot") was the seat upon which magistrates holding imperium were entitled to sit.